1. What are my options if I don’t wish to order online? By Phone – Call toll free at 800-266-0895 between the hours of 9-5 EST Mon-Fri. Please be sure to have your credit card information ready when you call. By Email – Email Us here to receive a black order form. Cash, check, Discover, Visa and MasterCard are accepted. Checks must be made payable to NATCA. Do not send cash by mail unless you are paying in person. Orders normally ship via UPS or USPS. Expedite service is available upon request at additional cost. 4. Do you ship to Alaska, Hawaii, Puerto Rico, Guam, and US Virgin Islands? Yes we do. However, only UPS 2nd/ Next-Day Air and USPS deliver to Alaska, Hawaii, Puerto Rico, Guam, US Virgin Islands and other non-continental US addresses. UPS Ground does NOT apply to these destinations. 5. Do you ship to international addresses? At this time, we do not. We only ship orders to the 50 states and other U.S. territories. 6. Are there any shipping and handling fees? Shipping fee is applied on all orders effective September 1, 2011. 7. What is the cost of embroidery? For most apparel, it is included in the price. Special embroidery will be a separate charge. 8. What is the total delivery time for my order? The total delivery time for your order is the period of time from when the order is placed until the time you receive it. Stock items normally take 3-7 business days. All other items take 3-4 weeks to deliver. 9. How can I track my package? For UPS shipments, you will receive an e-mail confirmation with a tracking number after your package is shipped. From there you can track the package and get an estimated delivery. Please ensure you provide a valid e-mail address during your order. For USPS shipments, NATCA Store will send an e-mail confirmation to inform you that the package has shipped. If need be, the USPS tracking feature may be applied but take note that this very limited for it does not specify the location of a package during transit. 10. What if there is a defect in the item that I ordered? NATCA stands behind the products it sells and advertises. Please refer to the “Returns & Exchanges” located at NATCAstore.com. Or you can contact us toll-free at 800-266-0895 between the hours of 9-5 EST Mon-Fri with any questions or concerns. 11. I received a gift certificate. Where and how can I redeem it? Congratulations! Redeeming online gift certificate is easy: Simply type the Code you received in our email to you in the Coupon/Gift Code box when you are checking out. Available Gift Certificate balance will be redeemed first. If the amount of your Gift Card/Certificate does not completely cover your purchase, your default credit card will be charged for the remaining balance. 12. Can I arrange for a promotion code for my facility? You certainly can! 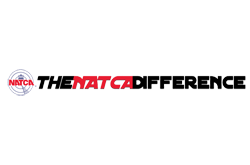 Click Contact Us at NATCAstore.com or call and we will assign a discount code on apparel or non-apparel items for your facility. Before online checkout, members must provide the assigned code under “PROMOTION CODE” to receive the arranged discount off of their merchandise total. If the promotion code is not entered or is entered incorrectly, the order will default to a normal price. 13. My local has designed a logo for polo shirts. How can we go about adding it to the list of available logos offered to members? Keep in mind that any NATCA local or member who wishes to use the NATCA logo or the name in another font or format must receive prior National Office Approval. This can be done through your RVP or a request for the NATCA Store to submit the approval request on your behalf. All items bearing the NATCA name or logo shall be union made or, at a minimum, American made. If your design is ready simply e-mail a jpeg file to natcastore@natcadc.org or call 800-266-0895 for assistance. The file is then digitized or punched in for embroidery. There is an embroidery setup fee of $45, which includes one stitch out. Assuming National Office Approval is received, there are no trademark infringements, and there are no copyright problems, we will go ahead and upload it into the current list of available logos at the natcastore.com. 14. My local currently does not have a logo. How can we get one designed and added to the store site? Simply send in your concept or thoughts to natcastore@natcadc.org. Our embroiderer will create the logo from scratch. The NATCA Store will submit the final logo for National Office Approval on your behalf. There is an art charge of $25 – $45, which includes two revisions. Additional revisions will be billed at $25 per hour. Once the logo is approved, the next step is the embroidery (note the $45 embroidery set up fee). Assuming there are no trademark infringements and that there are no copyright problems, we will include it in the current list of available logos at natcastore.com. All items bearing the NATCA name or logo shall be union made or, at a minimum, American made. 15. Our facility would like to design a t-shirt for our members. How can we get these made available to the store site? Unlike polo shirts, t-shirt design is silk-screened and the charge is $20 per color. If you have a variety of t-shirt colors or if your logo has more than one color, the charge is per screen per color. Advanced National Office Approval is required for the use of the NATCA name or logo in another font or format. The NATCA Store will submit the final design for National Office approval on your behalf. You can also order t-shirts from NATCA store but there is a 24-piece minimum. Once we have an idea on the t-shirt colors, size and quantity, we will be able to provide full pricing later. All items bearing the NATCA name or logo shall be union made or, at a minimum, American made. 16. What type of file can we send for the custom logo? Our union embroiderer prefers vector graphics like .eps or .svg but jpeg file format will do. Be advised vector graphics designs won’t be exactly the way it is received. It would be very pixelated and our embroiderer won’t be able to use the file for reference. It’s like attempting to duplicate an excel spreadsheet on to a word doc. What can be done is to duplicate it to the best way possible. If you have a preference on the color of the design, please provide the PMS color #’s before they can print, otherwise they will match the colors as best as they can. The more detail the description, we can keep the revisions to a minimum. We also take images from drawings and we will redraw the best way in what is envisioned. There might be a redrawn fee but it is negotiable. 17. I have an idea for a product that I think would sell. What should I do? Contact Customer Service at natcastore@natcadc.org or call 800-266-0895. If your idea makes sense and it is feasible, we will add it to our current selection for the members. It is as simple as that!! 18. What are the guidelines on the use of the NATCA logo? Click here for more information. You will need your issued username and password to access the site. This will provide a complete guide concerning rules and regulations involving the NATCA logo and its use. 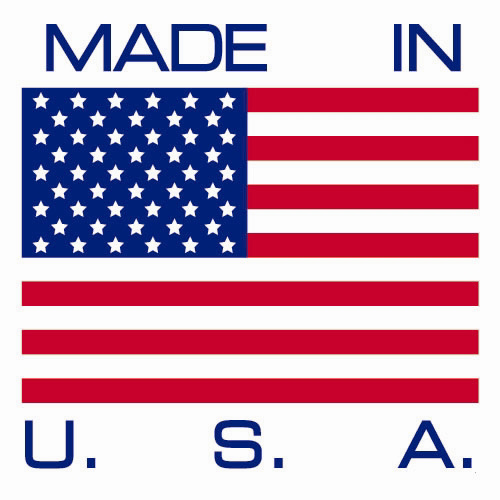 One thing is an absolute: our logo cannot be printed or re-produced on materials that are not manufactured in the USA.